Taipei, (UrduPoint / Pakistan Point News - APP - 17th Apr, 2019 ) :The boss of tech giant Foxconn said Wednesday he will be running for president of Taiwan -- after securing the backing of a local Sea Goddess. 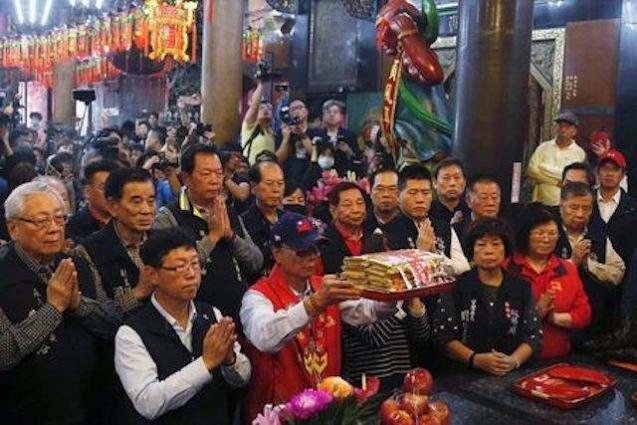 Earlier Wednesday while visiting a temple of local sea goddess Matsu in New Taipei city, the 69-year-old said the goddess "told me to step forward ... to help the people." Gou is expected to face KMT heavyweights including former party chairman Eric Chu and former parliamentary speaker Wang Jin-pyng, who have announced their intentions to run for president.